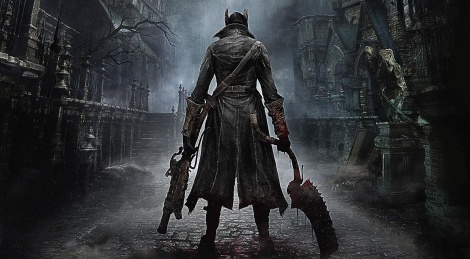 Getting our copy of Bloodborne wasn't easy since the Post hasn't brought us the game yet. Thankfully, Sony was really understanding and they told us to stop by at their office to get a new copy Monday afternoon at the very last minute. BlimBlim and Davton spent their whole evening capturing some direct feed videos for you guys, which you can now see inside. If French doesn't scare you too much and you want to see more of the game, we also recorded a private livestream in French only, but the replay from Twitch suffers from odd slowdowns (giving the impression the game runs at 20 fps) and the image is also way too dark. Needless to say that you should stick to our direct feed footage if you really want to see what the game looks like and how it runs. I loved the videos, hope you guys can do more with different weapons and their combinations, like the dual swords that turn into a hammer and vice-versa, and the sword whip. The first boss fight really let me down, was not only easy-ish, but very straightforward. Somehow, I remember from one of last year's trailers or videos that it was much more difficult, must have seen another fight. Also, gonna take this out of the way, those 30-40 seconds loading screens took me back to Dragon Age: Inquisition's loading screens, which can even more longer than Bloodborne's. 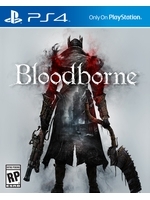 *This info was mentioned in the GameTrailers.com's review of Bloodborne. Aside from that and framerate issues, the game looks really great based on what I have seen, the artsyle is very atmospheric, the level design is really good, the animations are great, the physics are wacky, but in a good way, and etc. If those two flaws and a less difficulty setting, compared to the Souls games, are the only cons with the game, Bloodborne truly deserves the 9s and 10s it's getting. Plus, it seems the game gets significantly harder in the Chalice Dungeons and in New Game Plus - just like a certain capped crusader's Arkham games. Which is great, since it hopefully becomes more accessible to more people and sell more, without taking the challenge out of it for those Souls veterans - like playing with the "Waste of Skin" character background and with no weapons. I really appreciate the videos you guys made. Thanks a lot! And please send BlimBlim, davton and Sony (if possible) my regards. Thanks, gonna check it out! Sound quality is awful when Blim or Davton speak, there's your excuse. Friends who have this already here in NYC are telling me that the loading on this blows balls ... I'm talking giant size donkey balls ... this was the same ish with Armored Core back in the day ... minus that things its fun I hear. The devs are working on a patch. Hate to sound like a broken record, but the Let's talk business an Exploration videos, i've played those parts last year at a event and it looked so much better there. It looked darker, it had those nice looking wet stones on the ground, it had far less aliasing. It also performed good back then, so why did they change this? just typical dev cycle stuff i'd guess. much like watchdogs. they show us a really nice vertical slice then realise they need to optimise things a bit for the final game. Thx for the videos... but damn guys it's look like Dark Souls in everything. which looked like demon's souls in everything. it's just the style of ARPG FROM make i guess. Was watching this streaming on the ps4's broadcast channel...looks awesome, but gonna wait till it's once again patched - I expect to die ALOT in this game and the loading times between deaths was so long it instils a doubt on whether the game's still functioning or crashed...seemed to be up to a minute wait at times...something I imagine personally getting very annoying. Frame looked a bit improved over the IGN play through...though nowhere near rock solid. Games are really starting to annoy me this gen...even when delayed by months they still require a day 1 patch, and then have to have an announced working in progress patch, before it's even officially released. Just eating up my already constantly bloated harddrive. Thank god we're 'always online'. apparently the framerate issues are caused by frame pacing. similar to need for speed and destiny when they came out. it's showing 2 duplicate frames back to back which creates a stutter. i imagine it will be patched along with the load times (which they've said they are going to patch) i still have AC unity to complete, so i might wait until it's all smooth. This is what i played during a event late last year and framerate wise it was fine. Ah well....it is what it is. Hmm I don't see much difference in those but for some reason I also get the sense that the visuals were downgraded a bit, o well still looks great. I think it was the early trailers that set my expectations too high, they looked amazing. The game is no where near the trailers I watched last year. It is no where near the alpha version trailers available in this website either. I recommend people who are as blind as bats @KORNdog to go watch it. So wait, is the Cleric Beast supposed to be the first boss? Cause, i kinda skipped him and went straight to father glasgoine (who i was able to get on the first go). I'm still poking at the Cleric Beast. So, I never played demon or dark souls...kinda just picked this up on design and recommendation. It's FRUSTRATING but addicting. My only grief is that sometimes i've had mobs path into/through objects and I cannot attack them, but they can me(in particular a rifleman). Good music, solid gameplay. It could do with a bit better explanation of the character stats and upgrade systems. Visually it's beautiful, although some of the reflections wash out (could just be my tv settings). All in all, i'm not disappointed. It's especially this certain area that looks less impressive, less dark, less atmopsheric, less impressive lighting, i think it's bumpmapping on the cobbled streets in the older footage and all of that is either gone or toned quite significantly in the full game. Personally i never thought it looked 'impossibly' good in the older footage, so this...i guess downgrade surprises me. Graphic-wise it's ok, since I'm only care about the framerate on this type of games. The game itself is very good, not hard as hell (using axe with some farm), and very enjoyable. I think they just changed the time of day at that section, or it's a different section...I've seen plenty of footage where it still looks the same, or least very close to, that link. Check out Giant bombs quicklook http://www.giantbomb.com/videos/quick-look-bloodbo... better quality, gives a better idea of its visuals I think. i legitimately cannot wait to absorb myself into that world. it looks so great. the new stealing health back from enemies approach is a nice way to encourage the more agressive combat too. rather then running away to heal. Same. I've been trying to stay dark on it when it comes to the monsters...always great to see those first hand for the first time. I just hope they release that patch to sort out the loading times as I know in a game like this they'll discourage me to carry it on to completion. apparently there is something to do with the game reviews where not alowed to mention. some cool little feature. who knows what it is.